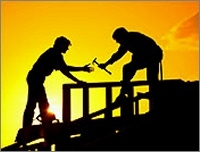 Texas Contractor Liability Insurance quotes from Texas-Contractor-Insurance.com. Fast Online TX Contractor's Insurance Quote. FAST Phone & Online Insurance Quotes! Please call us for a FAST and FREE Texas Contractor Liability Insurance Quote! We Can Quote Your Insurance Right on the Phone (or online). Let us Save You Money on your Contractor's Insurance. With Monthly Payment Plans as Low as $65 a Month, You Need to Call NOW!  Policies for Contractors Starting at only $949.  Start your coverage today for only $395 down.  We can start coverage the same day we quote. Get a fast and free quote on most every contractor classification. With plan features such as FREE Certificates and Additional insureds, A Rated Carriers, Low Monthly payments, and Credit Card payments accepted, you owe it to yourself to request a quote today!  We Can Fax Your application NOW! We are Texas Workers' Comp specialists. Whether you are a new venture, or need help resolving rating errors, we can help. Most contractors pay too much just because their agent has no alternatives - we have carriers waiting to quote your business NOW! 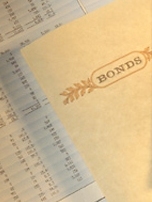 We can place a variety of bonds that are especially designed for Contractors. Whether you need a License Bond, a Surety or Fidelity Bond, or a Performance Bond of any kind, we have the markets for you. We can place bonds for Contractors with less-than-perfect credit too! Request a quote below and we will return a price to you, usually, within 24 hours. Our Satisfied Contractors Say it Best! 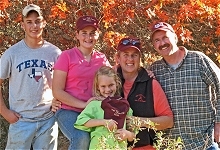 PRESIDENT JODY DYER & FAMILY. "Thanks for visiting our agency's website! Let us help you as we have done for hundreds of Texas Contractors. Low rates, quality service, and top rated carriers make our agency's contractor plans unbeatable. Get a quote today!"